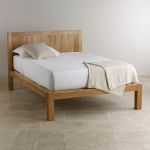 The Alto Solid Natural Oak King-Size Bed makes a stylish focal point for any bedroom, offering comfort and class in abundance. 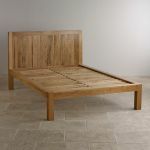 The bed is solid oak throughout from the headboard to the bed slats, adding strength and stability to the bed frame. 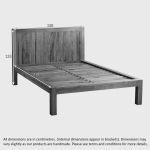 This combined with the timeless design means that the Alto King-Size bed is designed to last a lifetime. 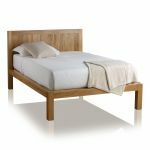 The bed along with the rest of the Alto range is handcrafted using only the finest cuts of solid oak timbers. The Alto King-Size bed features the distinctive finger corner joints making it the perfect addition to the Alto range. The Alto collection includes an enticing range of complementary bedroom furniture for you to place alongside your new bed.